This issue of Buzzard Notes has a few tears mixed in with it because my good buddy, Gale Ritter, passed away this past May. 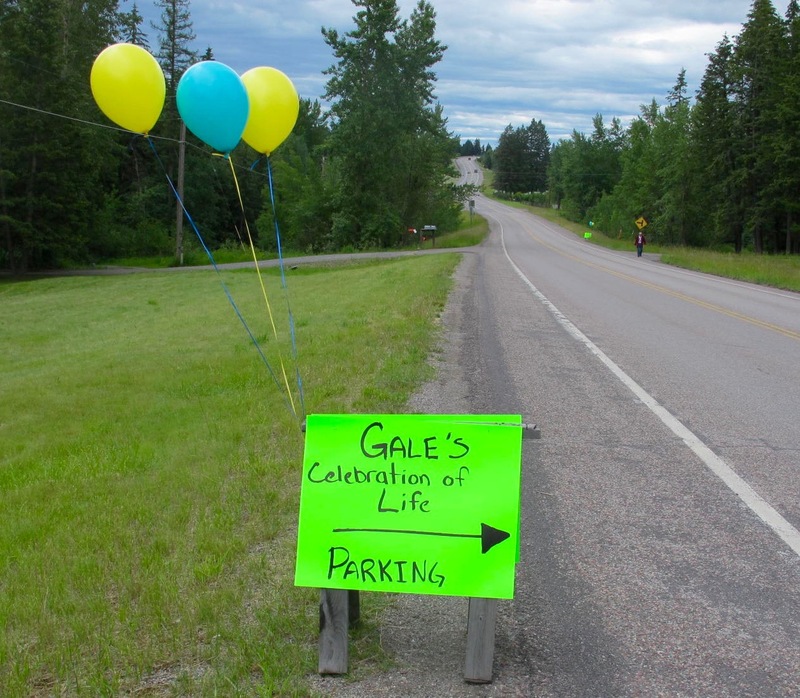 Her family and many friends held a great celebration of life for Gale this past Saturday, June 25, 2016. Profound words are difficult to voice right now, but I hope to somehow convey how much this celebration meant to me and how it helped me to begin to heal. 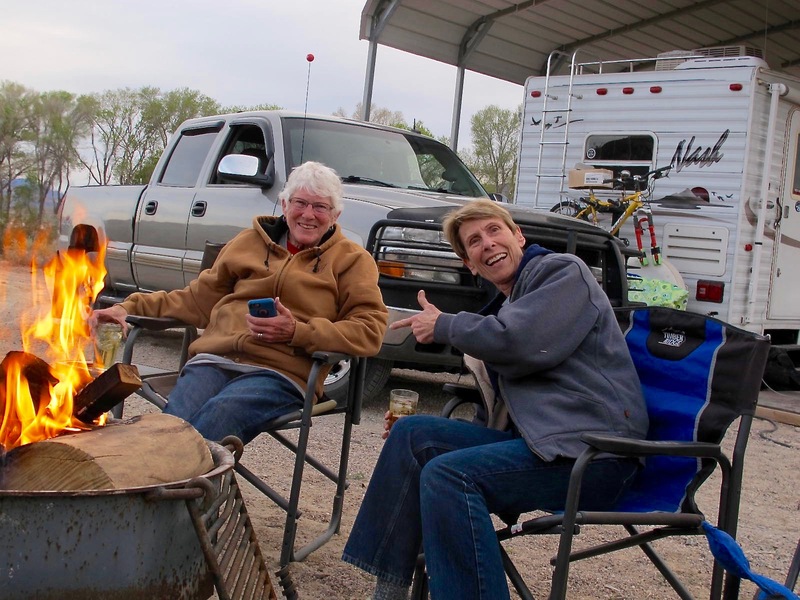 This is my favorite photo of the two of us and was taken at Pahranagat last March. Gale always loved a campfire and always built a good one. So it is that I flew to Columbia Falls, MT to join the celebration and finally get to meet Gale’s girls and her extended family. Gale talked about all of us so much that we sort of already knew each other. I had never been to Montana and now I would really like to go back now because it’s so beautiful and the people are so sweet. These are some of the trees that line the road in front of the Ritter Homestead. I loved being at the homestead. 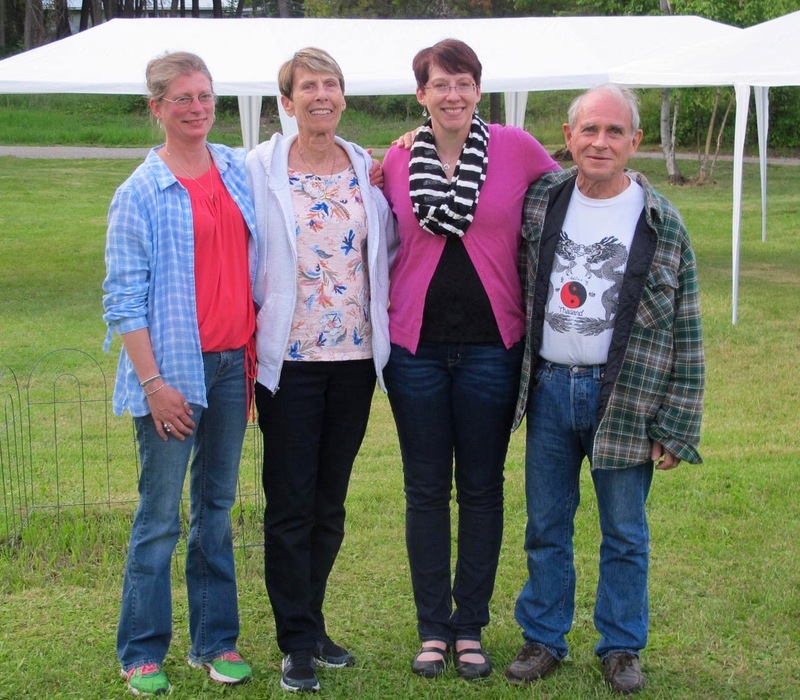 Gale’s daughters, Cindy and Teri, made me feel so welcome as did all of the folks I met. It was like being in another large family. The celebration was very well planned (but informal, my kind of affair) with canopies (in case of rain), lots of food, many memories and lots of hugs and love. It was a true neighborhood/friends gathering as many of the folks brought food. 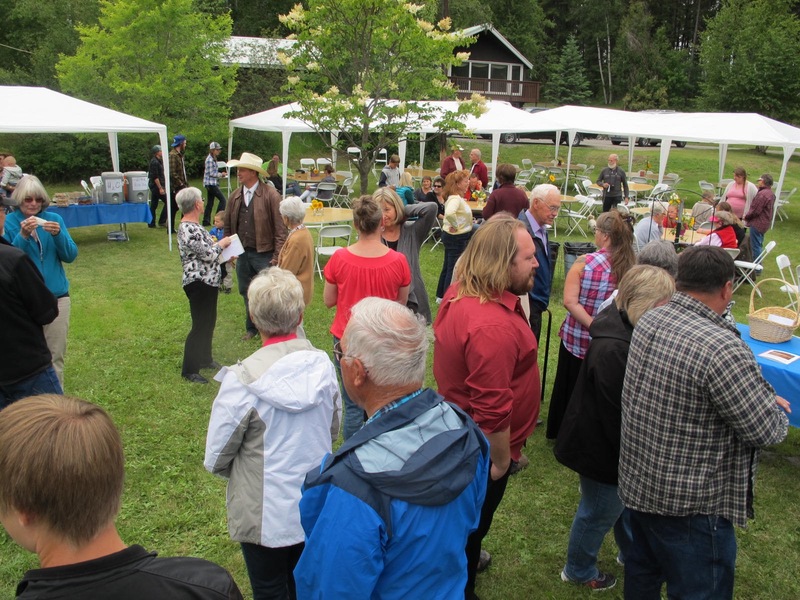 I tried to sample each of the dishes…and then a caterer supplied barbecued pork, coleslaw and beans! Oh my! Many of us ate too much, but it was soooooo good! I would like to share some of the gathering pictures as all of them contributed to a grand celebration. Gale would have loved it! 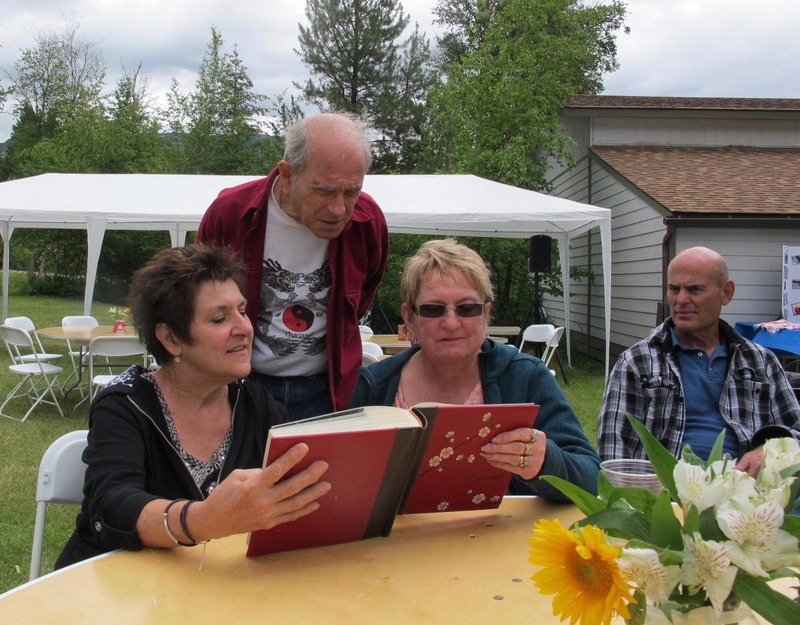 Checking out a family album. 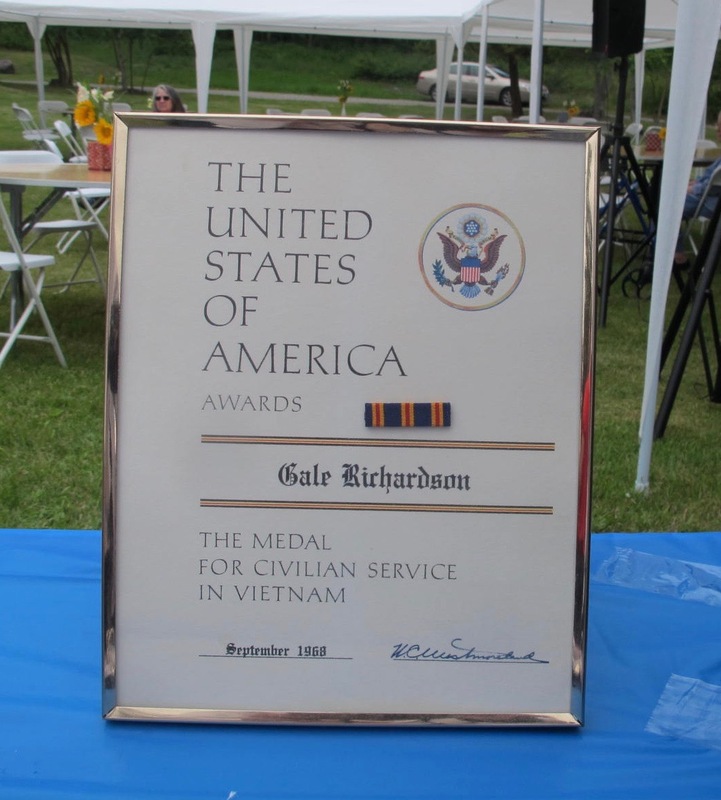 Gale was in Vietnam as a member of the Red Cross in the late 60s. She never talked about it much and consequently, I didn’t know she had received a medal for her service in ‘Nam. 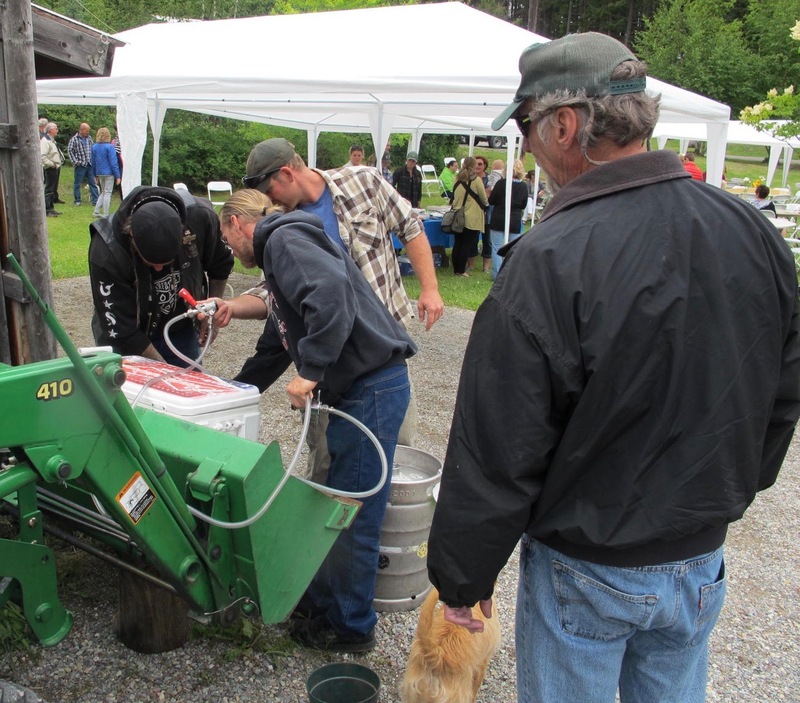 The committee to get the kegs going properly. 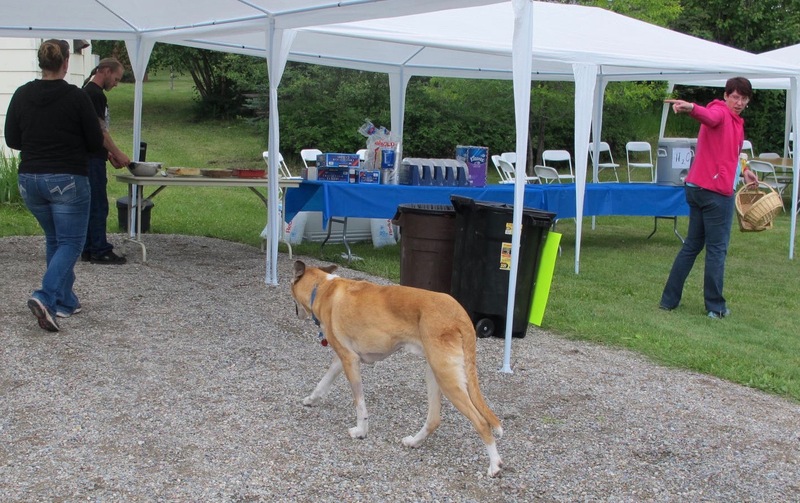 This party crasher just showed up and didn’t belong to anyone in the crowd. 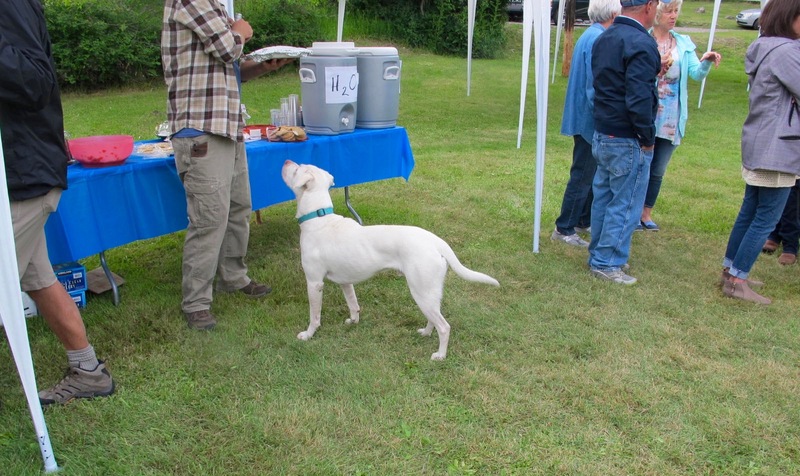 He tried to get tidbits from folks but it didn’t work. 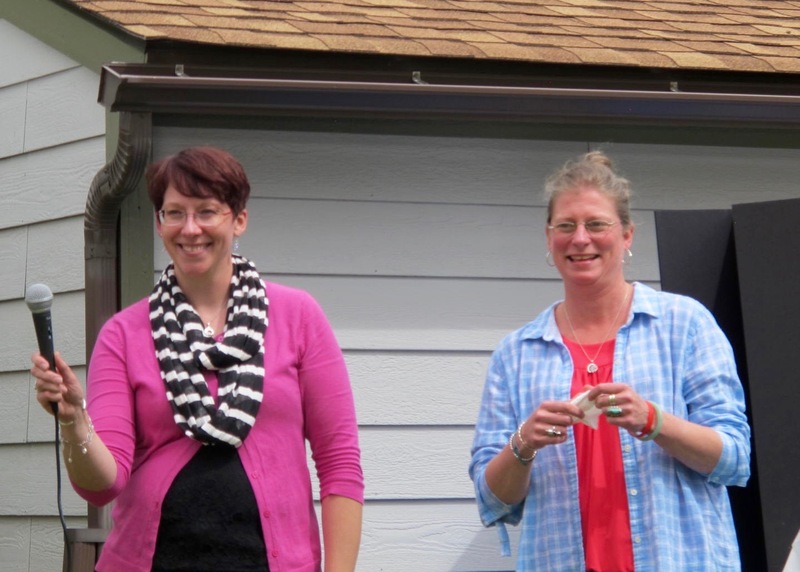 Teri and Cindy began the story telling of memories of Gale and invited other to share some of their stories. It was good to laugh at some of Gale’s fast car stories. She did love fast rides. She also loved horses and there were some good horse stories…some of those were fast rides, too. Jeff, one of Gale’s sons-in-law, wrote some poems for Gale. Can you hear me now? 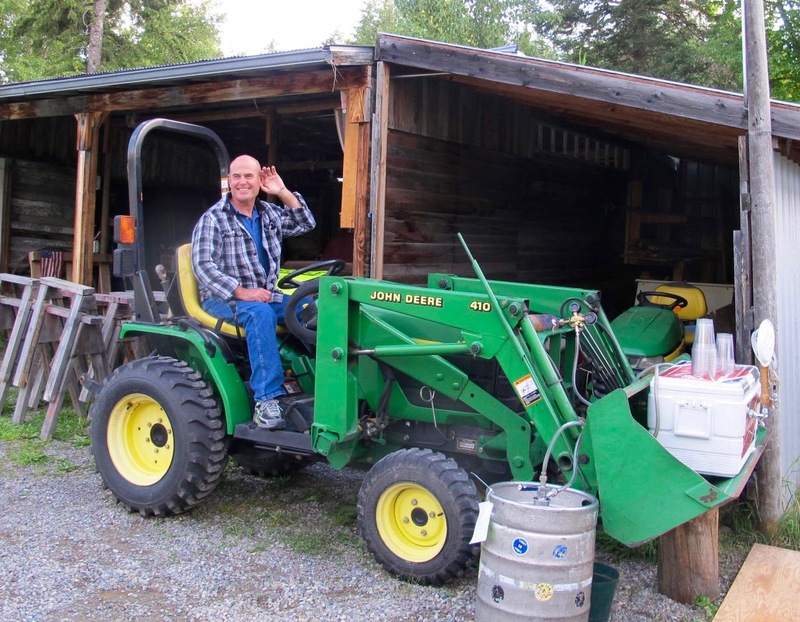 Yes, I’m bringing home the beer! 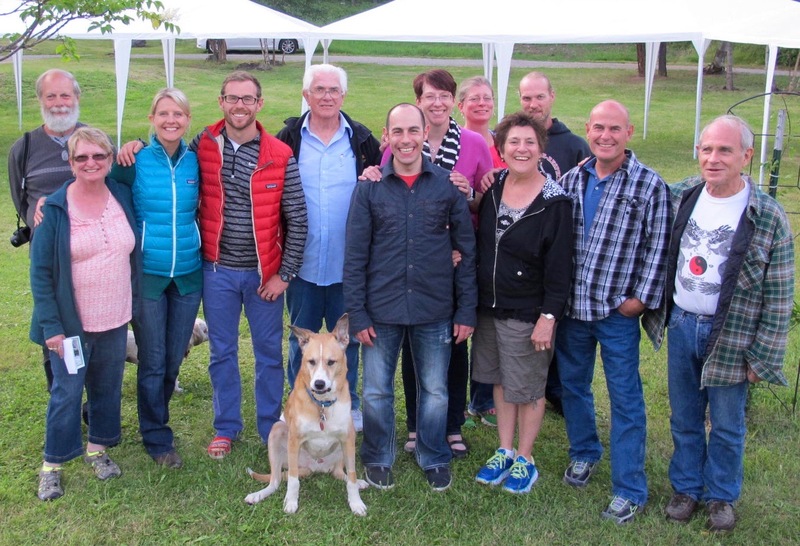 The extended family and Hank. 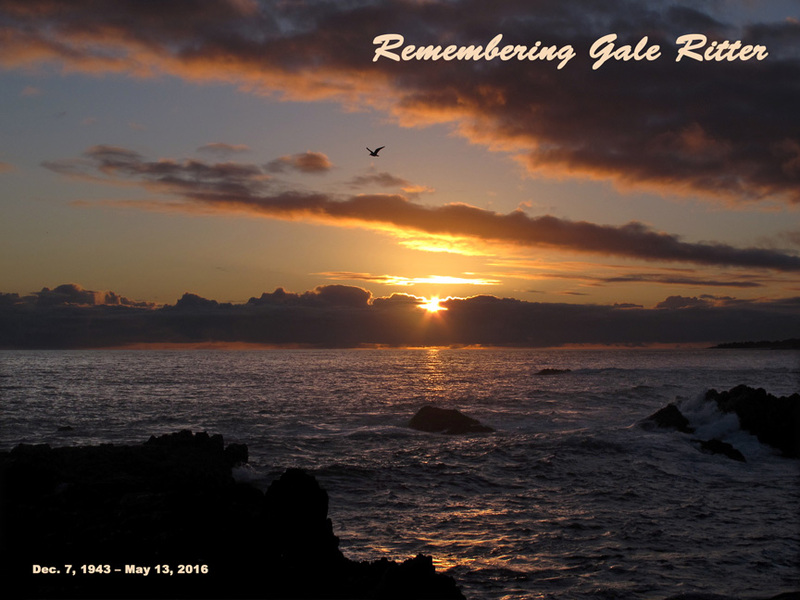 I miss Gale and all that she had to offer life. I will miss having adventures with Gale but am very grateful for the ones I had. 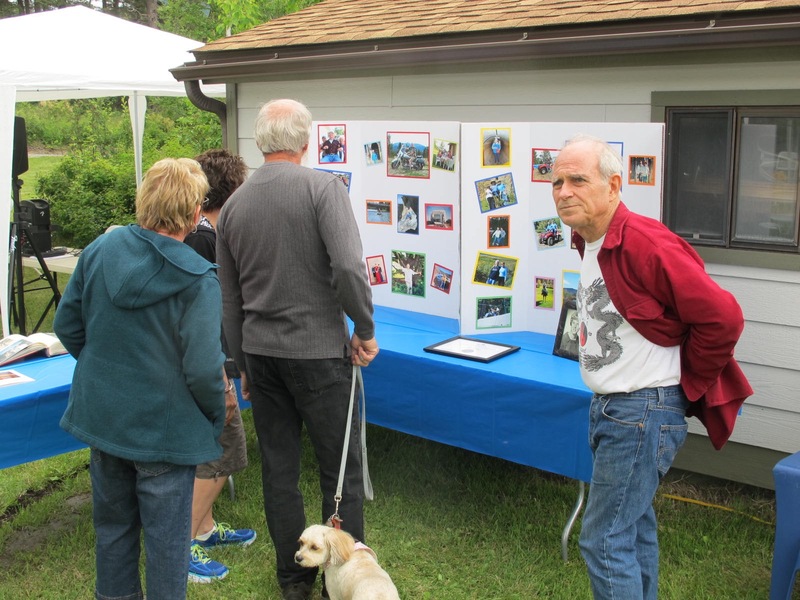 I want to thank the Ritter family for having me at Gale’s celebration. Being there helped me find some closure to Gale’s passing and also aided me to think and act on L3 and appreciate my surroundings. I hope the celebration did so for her family also. Jerri and I like to go to the parade to see all the entries, holler at parade participants we know, enjoy the camaraderie of surrounding people and the parade entrants, gather in the candy that is tossed/handed out during the parade (for Jerri’s grandkids, of course) and just flat out enjoy the fun. So here is an account of the parade that lasted about an hour and a half. 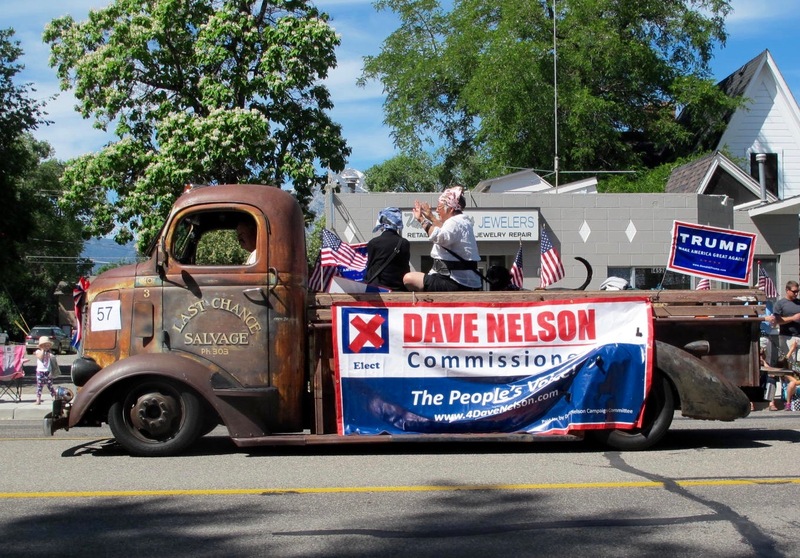 (in contrast to the October 31 Nevada Day Parade that has every politician as well as everybody and his uncle in it and last about 3-4 hours depending on which election is happening that year). 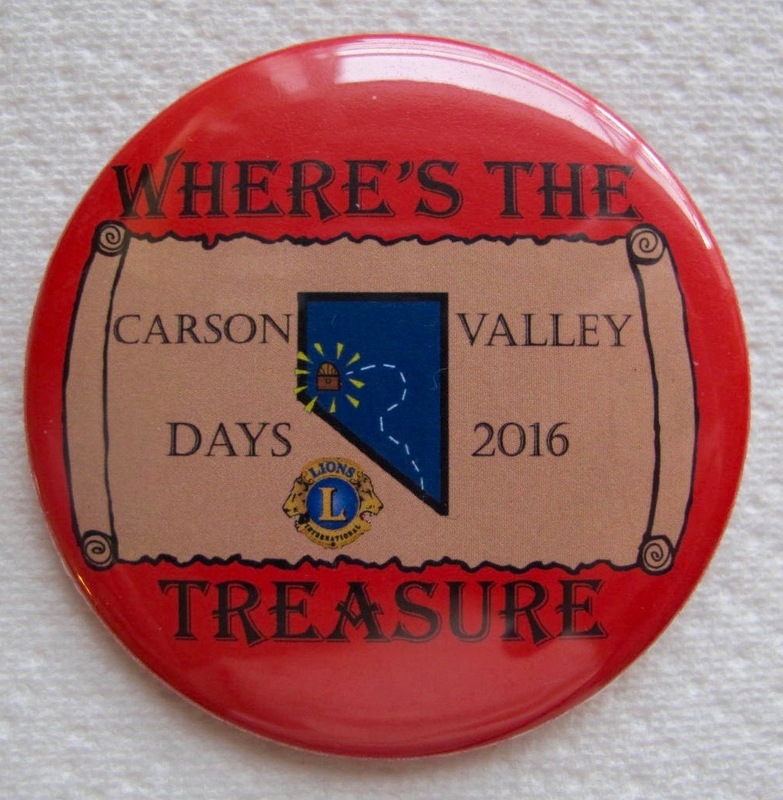 I should also add that the Carson Valley Parade is not the Rose Parade. 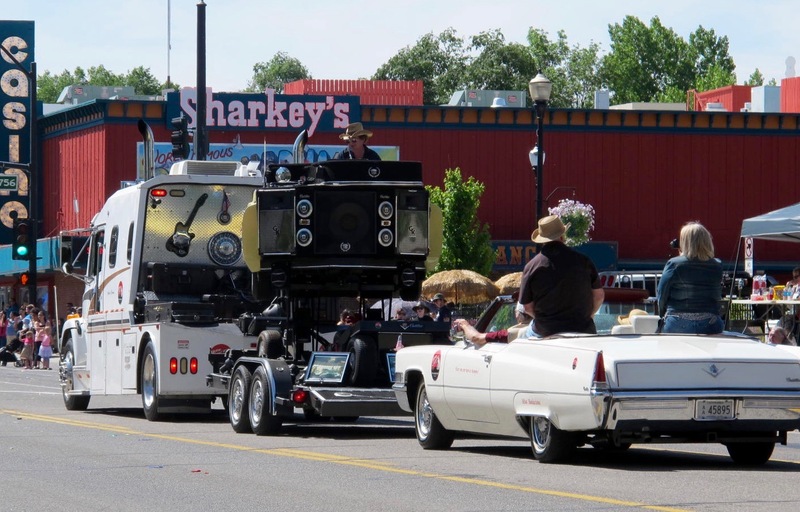 Floats are usually decorated flatbed trailers and are pulled by pickups, trucks or tractors. Usually there are no marching bands because school is out for the summer. But today, the Douglas High School Tiger Band marched. They sounded pretty good for having no seniors. Well, I’ll just show you what came down the street. The parade began with a color guard. Jerri was very disappointed that we, and a couple of old geezers, were the only ones who stood as the flag passed. An interesting commentary about our majority of “patriotic” inhabitants. I forgot to get the camera out until the tractors came by. 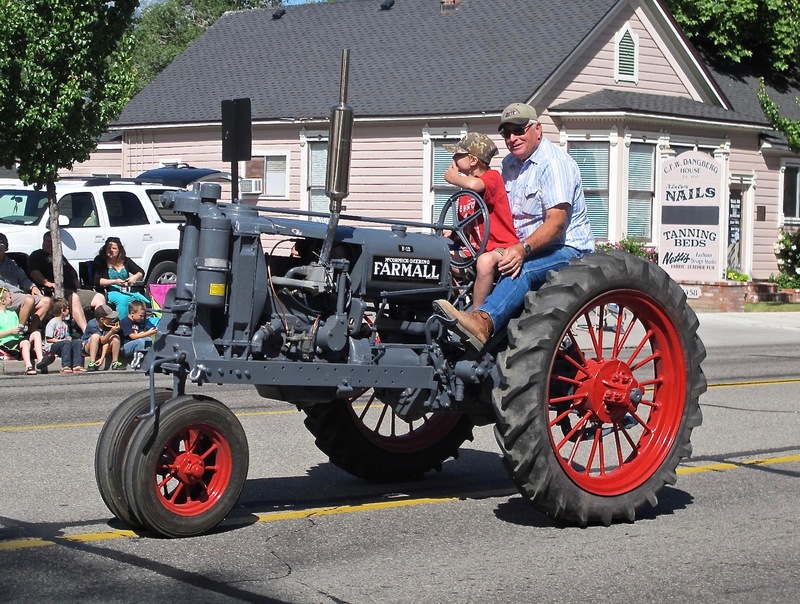 Douglas County has an antique engine and tractor show each year and owners love to show off their machines. This couple is staying cool with their snazzy red and white umbrella. This tractor was even pulling a stagecoach! The theme was a Pirate’s Life this year and we saw many pirate hats, swords, eye patches and other swashbuckling accessories. 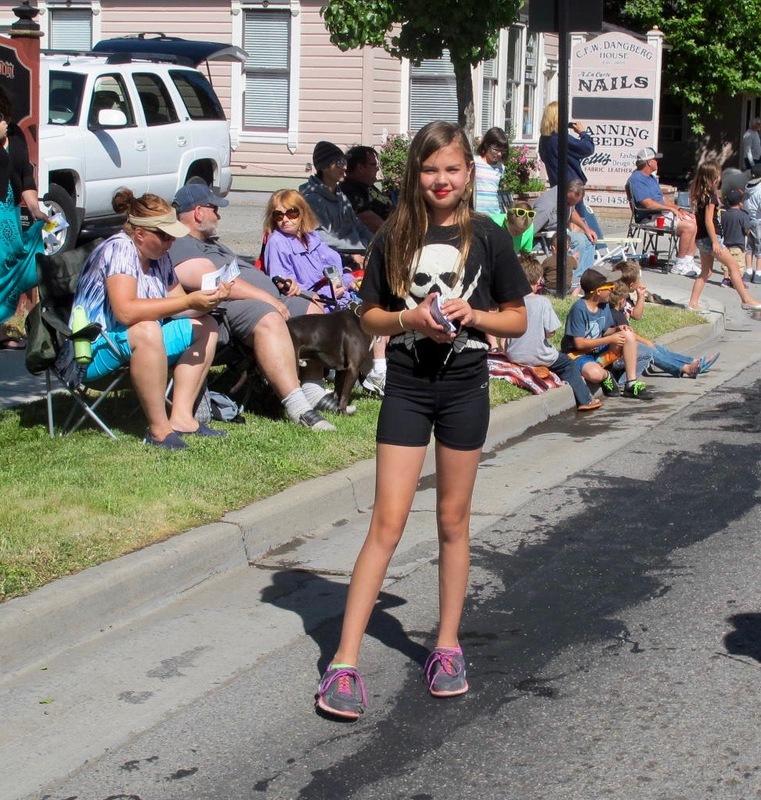 Jerri’s granddaughter Megan walked the route with her gymnastics group, Tumbleweeds. 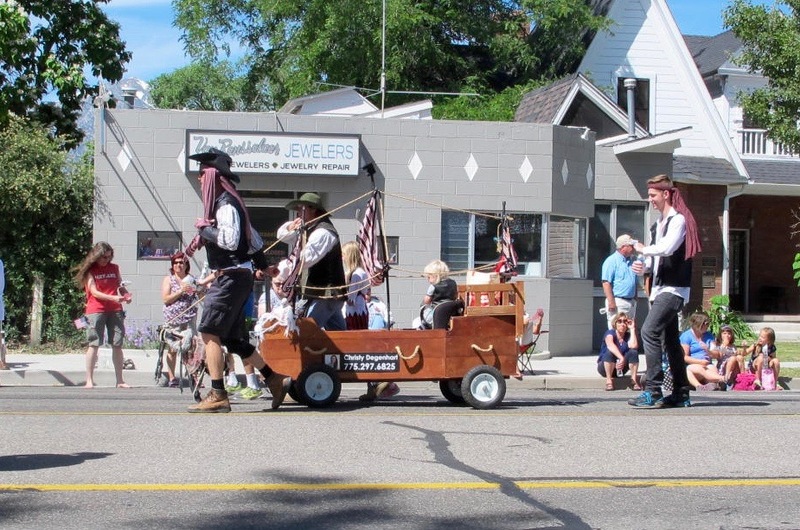 Their float won the youth division trophy. 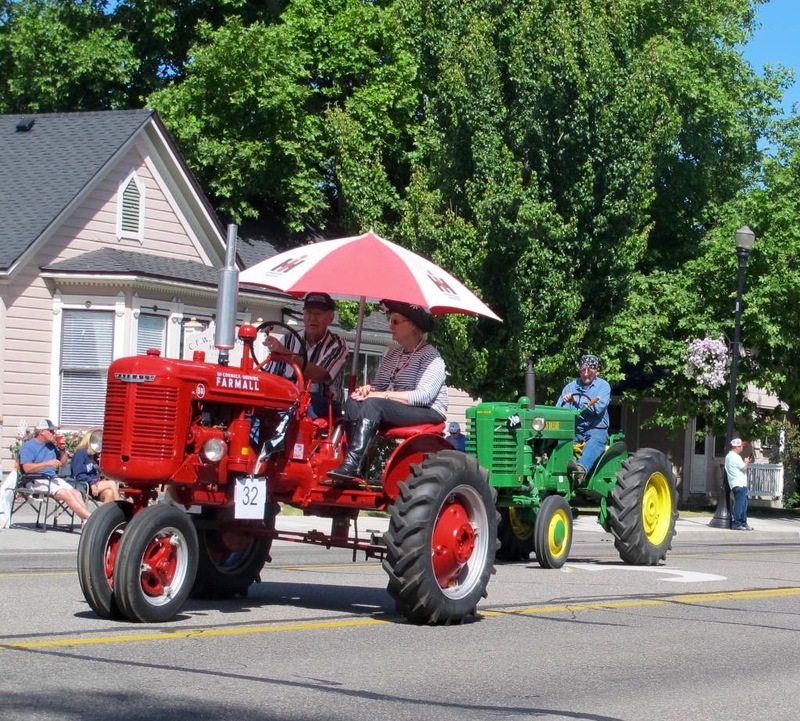 All sorts of transportation are used during the parade. 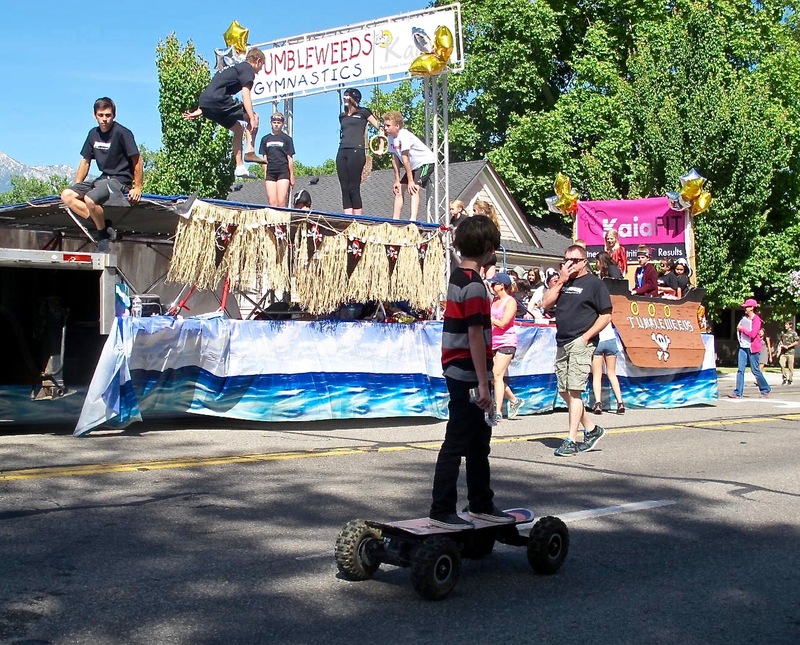 Here is a kid going against the grain on his motorized skateboard. He operates it with a remote control. 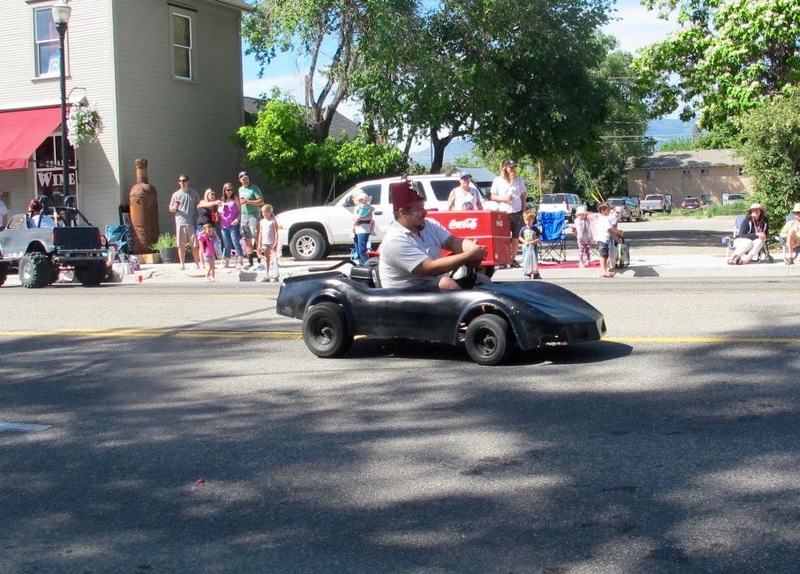 Another type of transport is the little cars the Shriners use to entertain the audience. This guy was just about to go into a very tight doughnut. He looked like he was having a blast. Of course there have to be some equestrians. 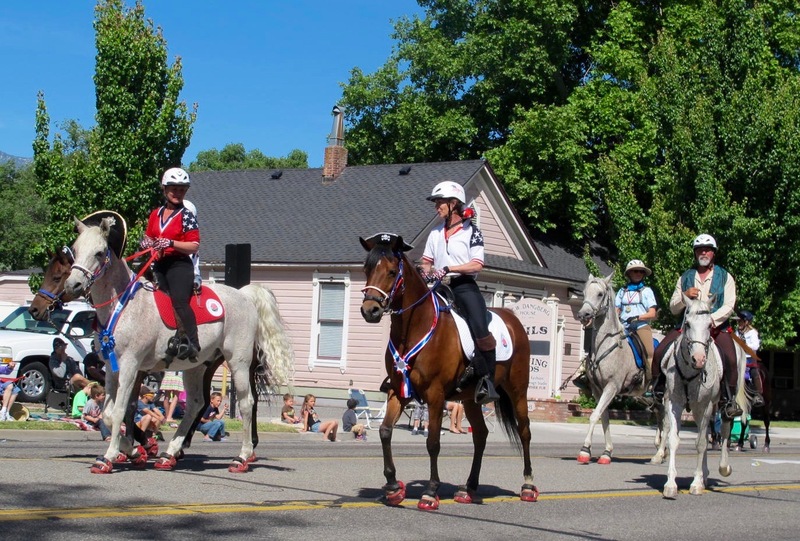 The Sheriff’s Mounted Posse had already gone by and these riders were representing an endurance ride. Note the pirate hats on the lead horses. 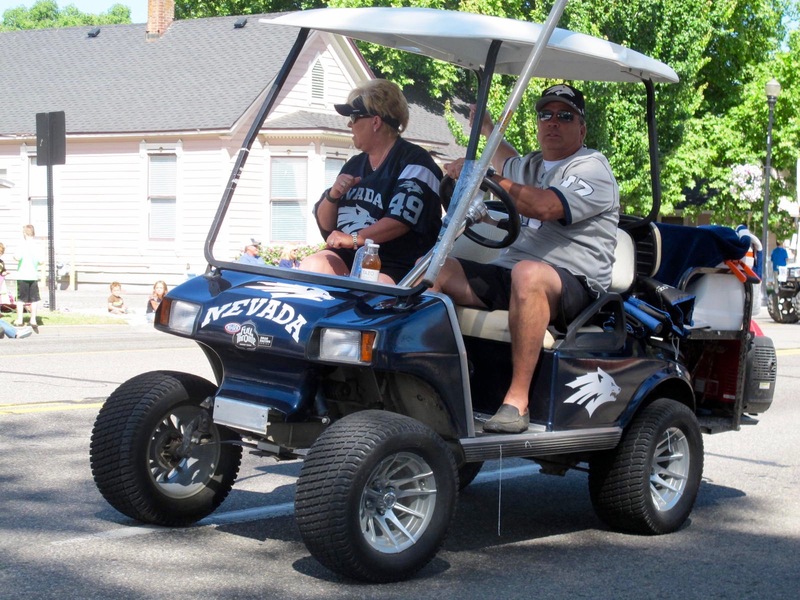 Northern Nevadans support the UN Reno Wolfpack wholeheartedly and wear shirts, hats, jackets and even decorate their vehicles with the logos to show their pride. 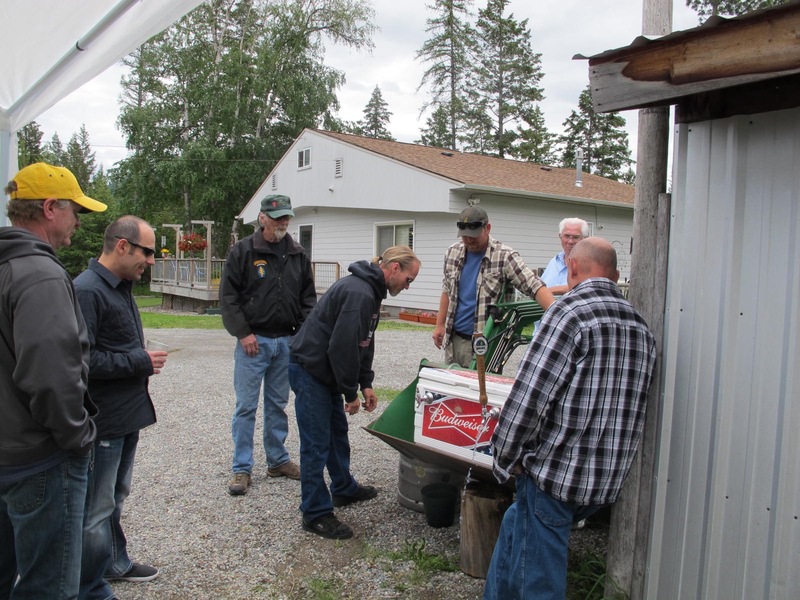 Many local folks love to restore classic cars and trucks. 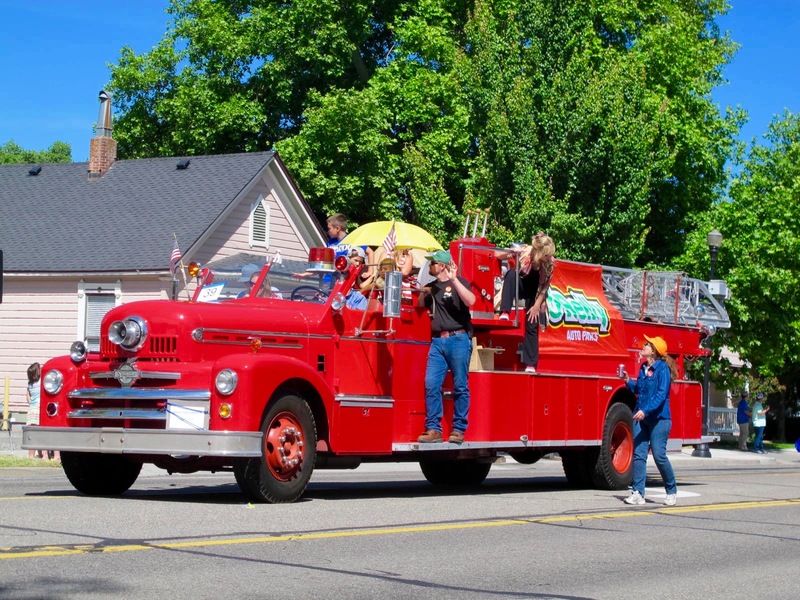 There is even a group called the Firematics that restores fire engines. 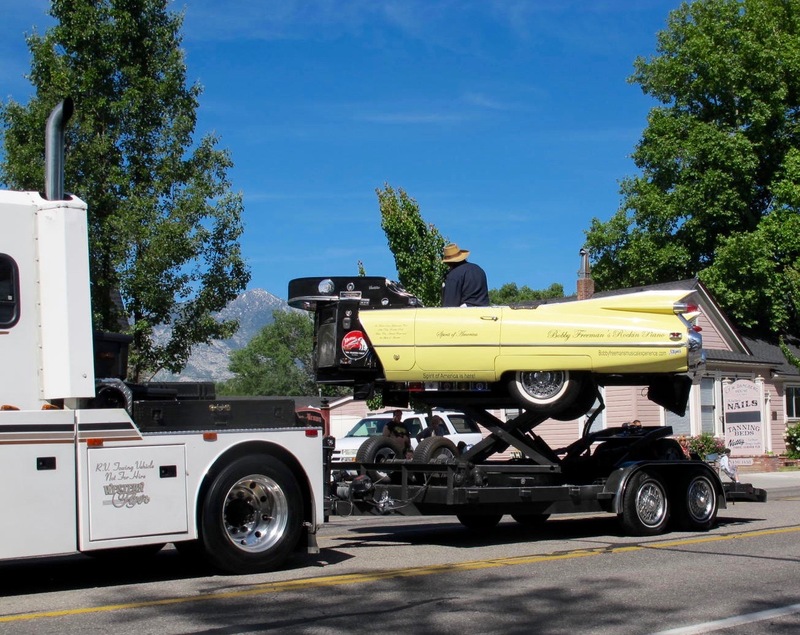 A huge semi truck was towing a guy in a totally crazy sawed off Cadillac with amps in lieu of a hood and a keyboard where the dash should be. The car elevates and turns around in circles while he is playing the keyboard. People love this totally bizarre dude! 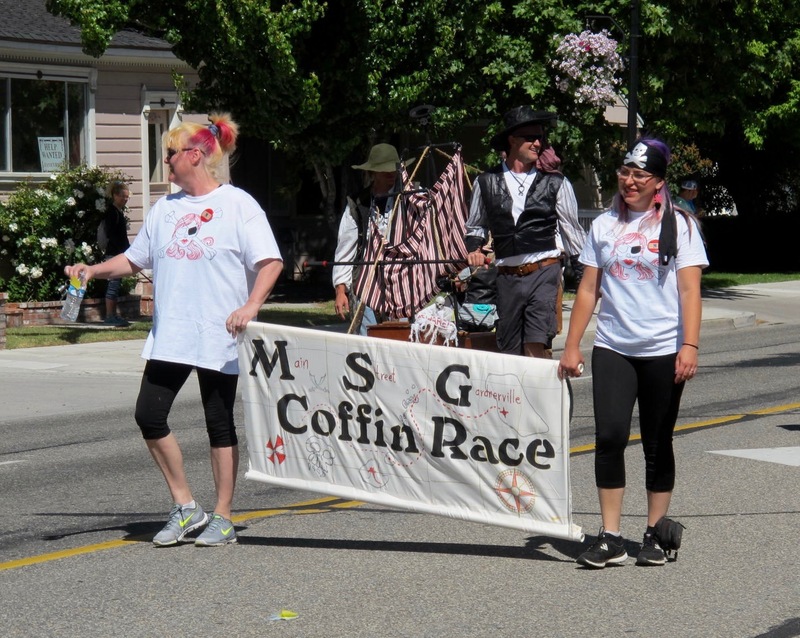 A last chance type of transport is this entry of the Main Street, Gardnerville Coffin Races. People really turn out to watch these tricked out coffins hurry to the FINISH line. 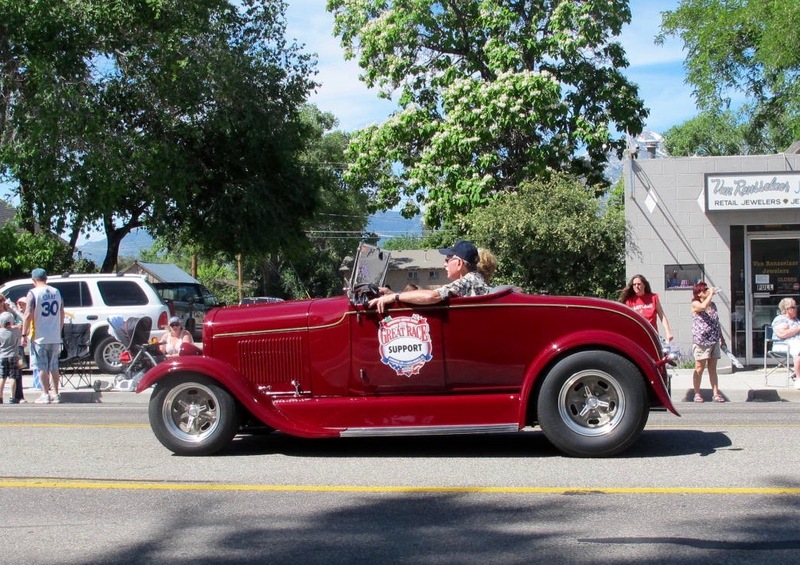 On Saturday, June 18, The Great Race will begin in San Rafael, CA and will traverse the Sierras in time for a lunch stop in Gardnerville the next day. More than 60 pre-WWII cars will be racing all the way to Moline, IL for a grand prize of $250,000! So it’s a big honor to be selected as a stopping point for this race. Do any of you remember the Desert Bag that people hung on the side of the car or the bumper? 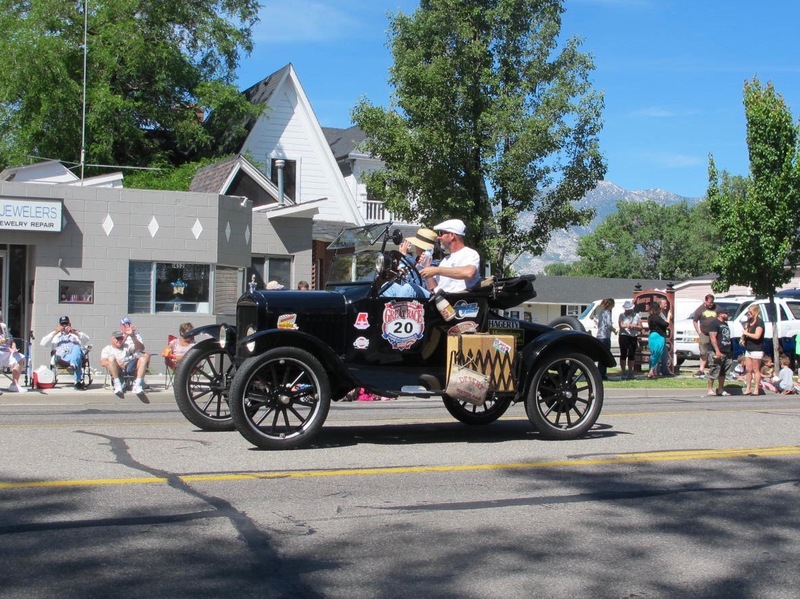 I don’t think these cars will actually be in the race but they will certainly be in the classic car show in Gardnerville that day. I’m not advocating the candidates touted on this vehicle, but it reminded me of a truck in the Disney movie, “Cars.” Check out the phone number on the door. Who remembers a number having only three digits? 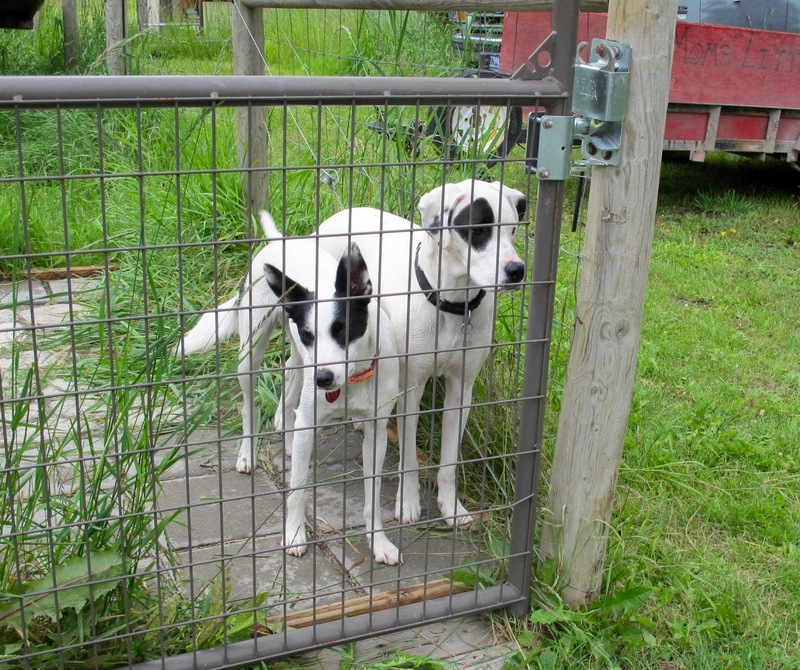 Northern Nevada had many Basque sheepherders taking care of their herds (flocks?) 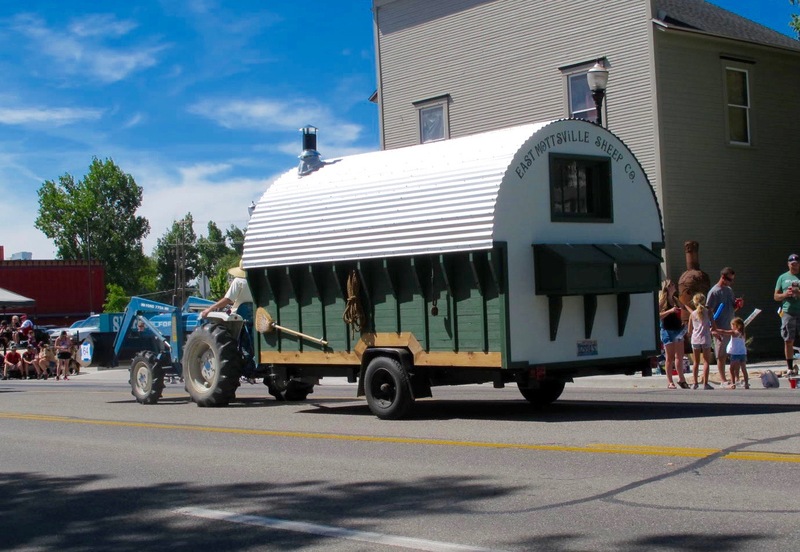 and they lived in wagons similar to this. 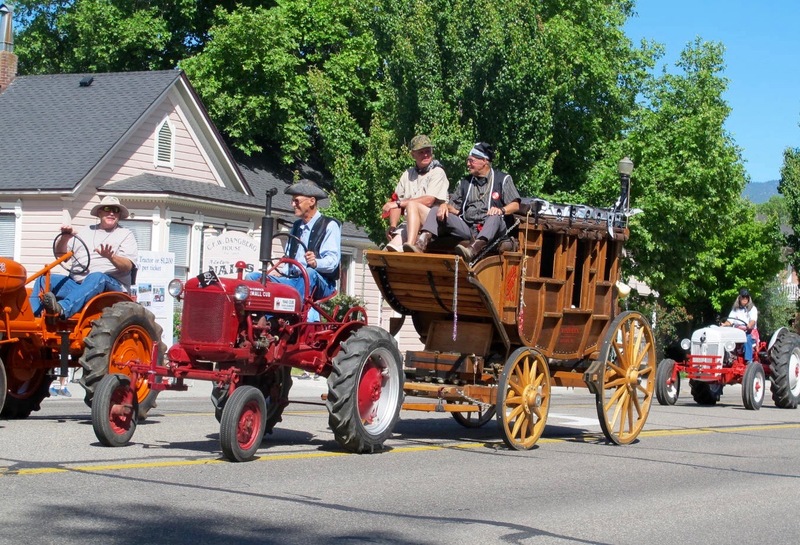 Mottsville was a little town with several big ranches a bit west of Minden/Gardnerville area. I don’t know if they are still used. 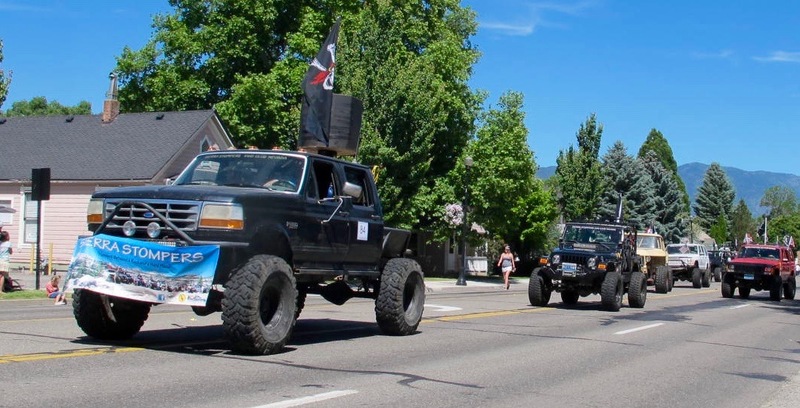 The Sierra Stompers are always a hit in the Carson Valley Days Parade. They bring their big tired ATVs (or whatever the proper term is for them) and perform some great simulations of going over difficult terrain. Nonchalant dudes in the back of the vehicle to the left. 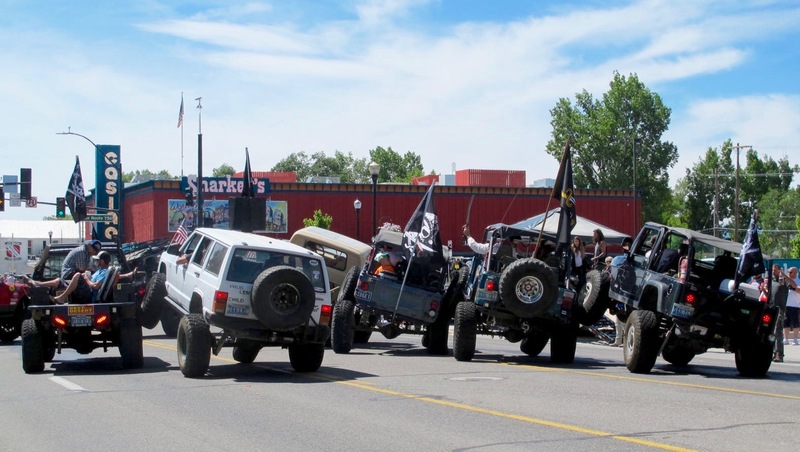 This looks like a multi-vehicle pile up but they are demonstrating their driving skills for the parade judges sitting under the canopy on the right. The nonchalant dudes still don’t care what’s happening around them. Take me home, Dad. I’m dog tired! Jerri and I really enjoy this parade. 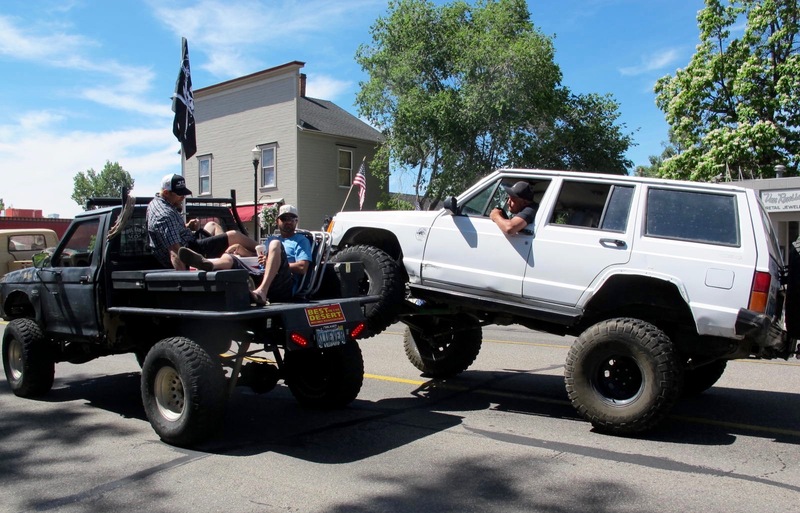 There is nothing fancy or very sophisticated about it, but it is so typical of northern Nevada. some folks would say it’s hokey but it’s good fun and depicts who we are and what we do. Kinda down home, I guess. 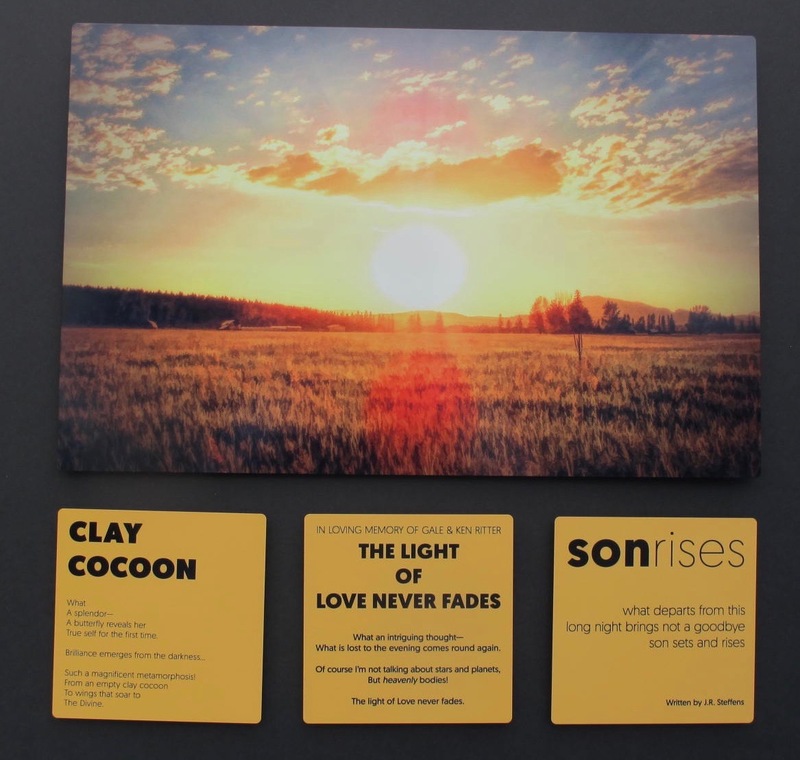 I hope you noticed the sky and the mountains in the background in some of the pictures. It was such a beautiful morning and by later afternoon, it had clouded up and we had a bit of rain and thunder and lightening. 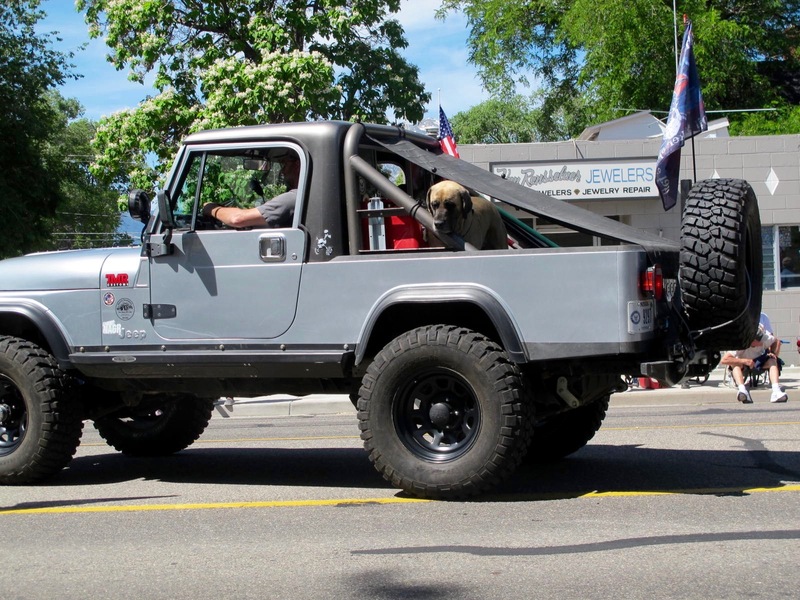 There is never a dull moment here in the Carson Valley.